Cybercrimes are a threat and as dangerous as an armed intruder—yet millions of Americans are complacent or simply uninformed of how to protect themselves. 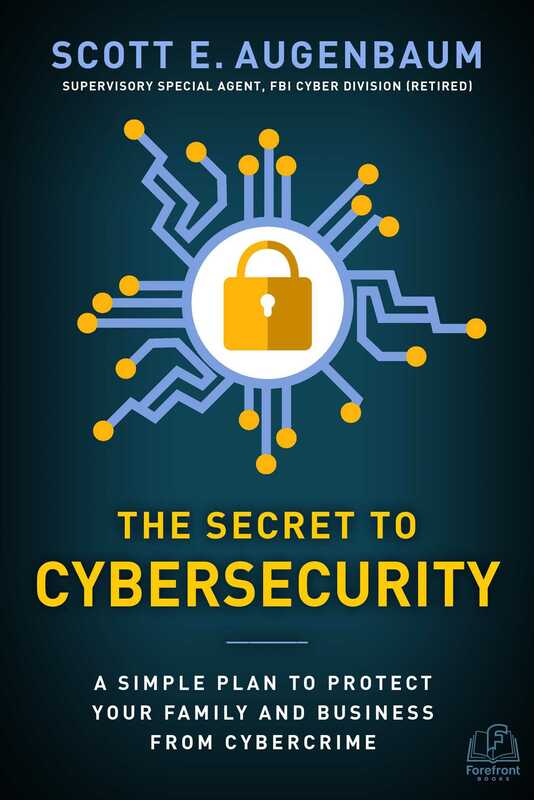 The Secret to Cybersecurity closes that knowledge gap by using real-life examples to educate readers. It’s 2 a.m.—do you know who your child is online with? According to author Scott Augenbaum, between 80 to 90 percent of students say they do whatever they want on their smartphones—and their parents don’t have a clue. Is that you? What about your online banking passwords, are they safe? Has your email account or bank/debit card ever been compromised? In 2018, there were data breaches at several major companies—If those companies have your credit or debit information, that affects you. There are bad people in the world, and they are on the internet. They want to hurt you. They are based all over the world, so they’re hard at “work” when even you’re sleeping. They use automated programs to probe for weaknesses in your internet security programs. And they never stop. Cybercrime is on the increase internationally, and it’s up to you to protect yourself. But how? The Secret to Cybersecurity is the simple and straightforward plan to keep you, your family, and your business safe. Written by Scott Augenbaum, a 29-year veteran of the FBI who specialized in cybercrimes, it uses real-life examples to educate and inform readers, explaining who/why/how so you’ll have a specific takeaway to put into action for your family. Learn about the scams, methods, and ways that cyber criminals operate—and learn how to avoid being the next cyber victim.